You have successfully found the best email designer out there, congratulations! Now let's learn how to use it. We affectionately call it ZED (Zaius Email Designer) around here. Why have this email designer? 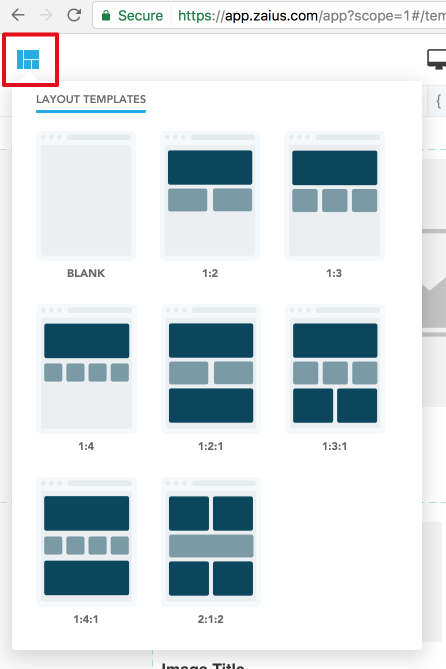 Templates can be a great way to get started and get comfortable with ZED. If you need help with templates please reach out to support@zaius.com. Or, use your own designed template, your imagination or just wing it and see where it goes. The following sections will help you accomplish all of these. Emails have structure, think of them as sections: headers, footers, product blocks, promotional content, social icons. These can contain a single column, multiple columns or a grid of products. 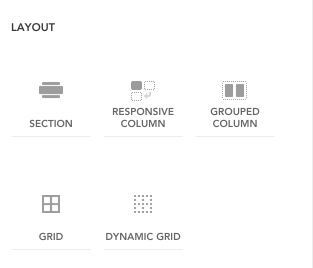 ZED has a list of structural elements that can be accessed under "layout" on the right tab. Section: The primary component, think about it as the main container. New type of content, new section. Grouped Column: A set of columns that will not wrap on mobile. Most useful for text based columns that you want to have just scale down and not wrap. 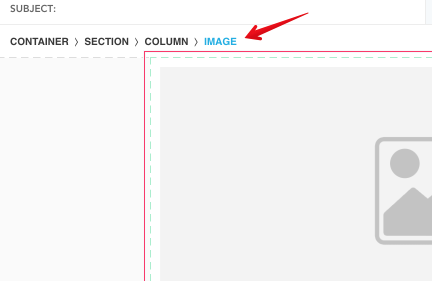 Grid: A quick and easy way to add a number of columns (and possibly rows) to a template. The "Container" in the breadcrumb is where you can set the defaults for the email, such as: fonts, link colors, width of the email, and more. These elements are the what you use to put content into the structure of the email. Just drag them in and edit in place. The details tab for each element provides the ability to modify the format, spacing, links and other specifics per element. Images can be dragged and dropped right into the of the email. You can drag the images right off your website, filesystem or almost anywhere! When you drop it in we automatically handle the hosting of the image. It's that easy! If you have the same image twice, we reuse the same file for hosting. UTM parameters are the defacto standard for how campaigns are tracked throughout the ecosystem. By default we automatically add the medium, source, campaign and content utm parameters into the email. You can turn this off (but really, why would you want to?) in the Container -> Details tab. When you add a link that already has utm parameters in it, we will warn you. "Term" is currently unused in auto UTMs. If you want to add an additional UTM when using auto UTMs, it can be added to utm_term. UTM values are not added to previews or test sends, they will be added to links once the campaigns are live. This ensures that test sends do not get added to your campaign metrics. 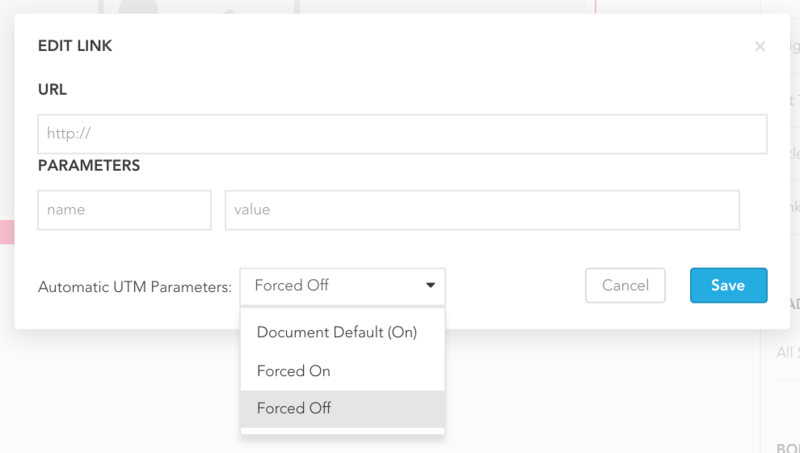 If you prefer to use your own utm structure altogether, select "Force Off" from the dropdown options for each link. Keep in mind, this route will also change the tracking/reporting that Zaius is providing moving forward. Depending on what changes are made to the UTMs, your current reporting may not map to your future reporting in Zaius. If you are building a campaign from scratch using HTML, auto UTMs are not enabled. However, if you convert a campaign from ZED to HTML, auto UTMs stay enabled.